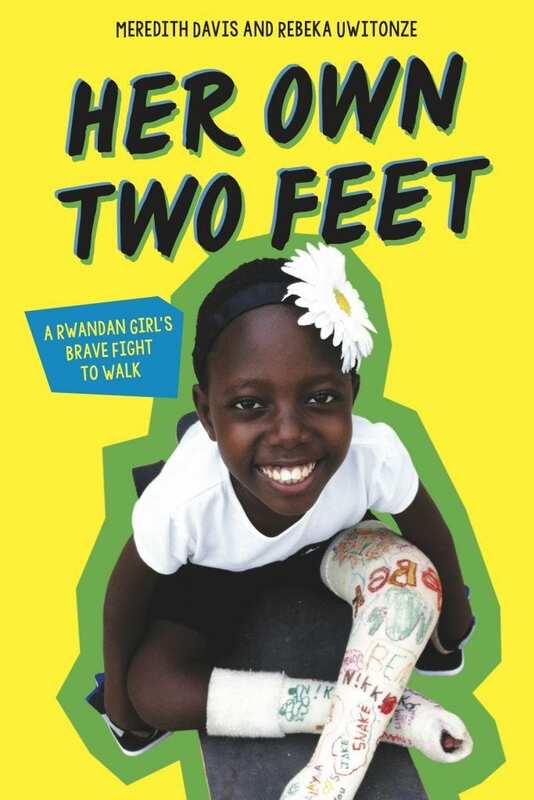 HER OWN TWO FEET is a narrative nonfiction middle grade based on the true story of Rebeka Uwitonze, a Rwandan girl who came to America at the age of nine to have corrective surgery for her club feet. The book begins with her growing up with seven siblings, her mother and father in a small home made from the red dirt of Rwanda. She eventually learns to walk on her twisted feet, but it is painful and slow and as she grew older and heavier, she knew she would go back to crawling. So, when offered the chance to see doctors in Texas, she takes it. 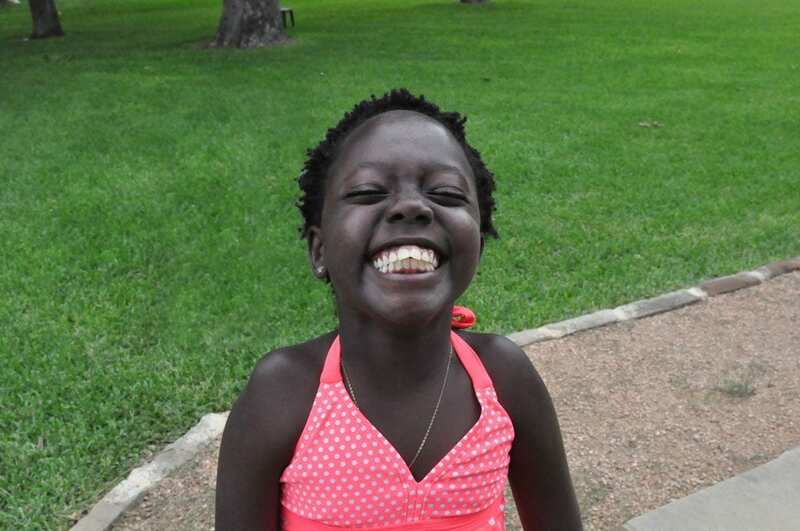 Her stay turns into a year of castings, surgeries and physical therapy, before returning to Rwanda. This project began in 2012 not with words on the page, but living the story. When nine-year-old Rebeka arrived in Texas she did not speak English, she had never lived with electricity or running water, and she had only attended school for a few months. 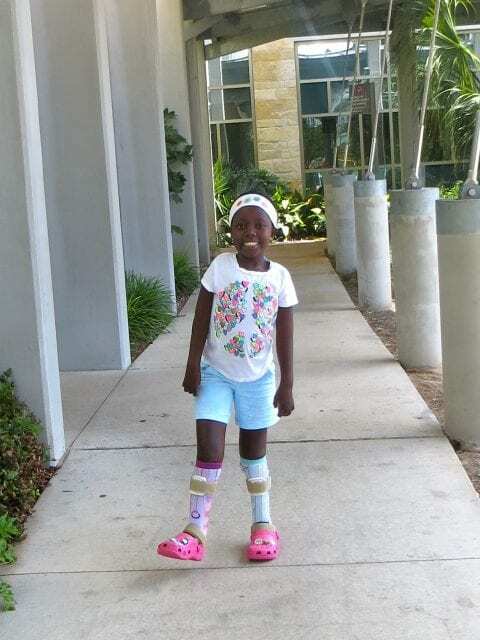 While living with our family, she learned how to speak and even read English, won countless games of Uno and Memory, wore thirty-one casts, visited Dell Children’s Hospital fifty-eight times, and learned how to walk again on the bottoms of her turned-straight feet. To read all the blog entries from Rebeka’s time in Austin and see additional pictures not featured in the book, click here. Rebeka was eager to collaborate on HER OWN TWO FEET. She wanted to share her story, but she didn’t have all the English words she needed. Neither did I. In some ways I knew this girl. After living with her for nearly a year, I knew she was ticklish and fiercely competitive and did not like vegetables. But there was much I didn’t know about Rebeka’s early childhood. I booked a ticket to Rwanda, my sixth visit to that beautiful country of rolling green hills and red dirt roads. I interviewed Rebeka, her parents, her teachers, headmasters, friends, an Auntie in her boarding school, and anyone else I could find who knew Rebeka when she was young, before she came to America. I heard a lot of new stories and was privileged to see the only two photographs of Rebeka taken before the age of nine. I also studied the hundreds of pictures we took when she was with us, all my blog entries from that time, and the daily journal I kept. HER OWN TWO FEET was translated into Kinyarwandan and recorded by the amazing Cyusa Lionel, a Rwandan young man attending university in the states. It was sent to Rwanda for Rebeka and her parents to hear and comment so that it is truly a collaborative effort between Rebeka and me. The book includes over seventy photographs of her time in Rwanda and the US. When showing the finished manuscript to Rebeka, we recorded her saying all of the Kinyarwanda words found in the glossary. If you’d like to hear her (along with a little Davis commentary), check out the recording below. From an early age, Rebeka seized every opportunity and made the most of it. 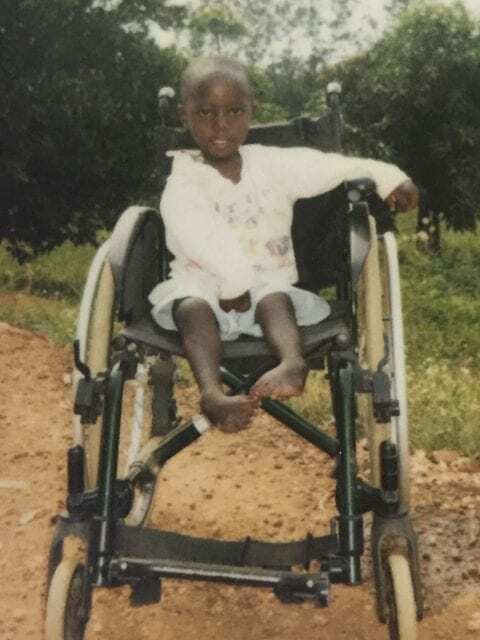 Whether that meant walking three miles on the tops of her twisted feet to get to the school in her village, or coming to America to live with strangers so she could have treatments and surgeries, she was brave and resilient. In Rwanda they don’t say “carpe diem” (seize the day), they say, “Amahirwe aza rimwe” (chance comes once). 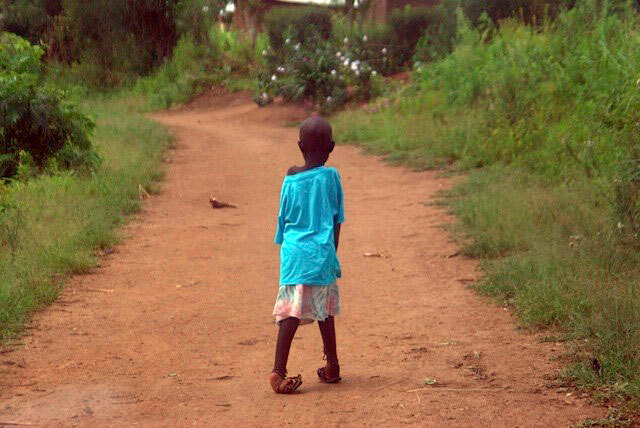 Rebeka took her chance, and returned to Rwanda an independent, brave, and confident girl, walking on her own two feet. To find out more about the organization that cares for Rebeka, her sister, and thousands of other children in Rwanda, visit the website for Africa New Life Ministries.